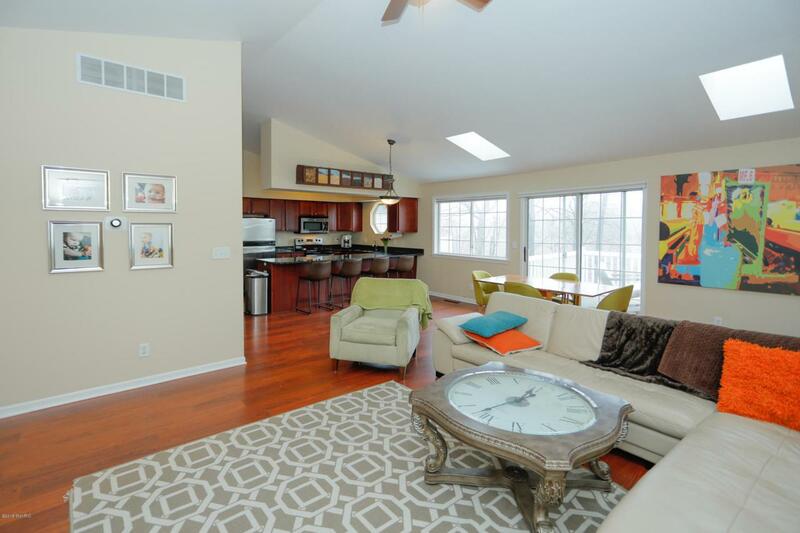 This nicely appointed condo offers plenty of living space and the perks of condo living. 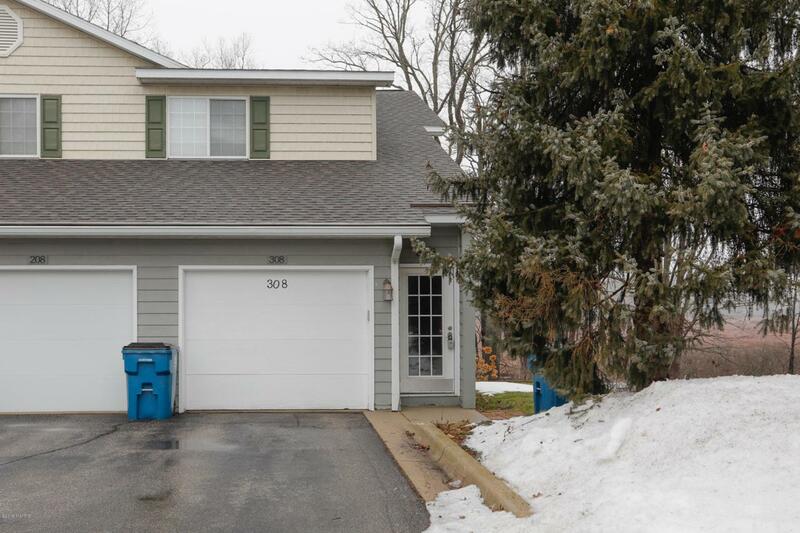 Three bedrooms with California closet systems, two full baths (including remodeled shower in master), brand new washer & dryer and new water softener highlight the 1500+ square feet of living space. 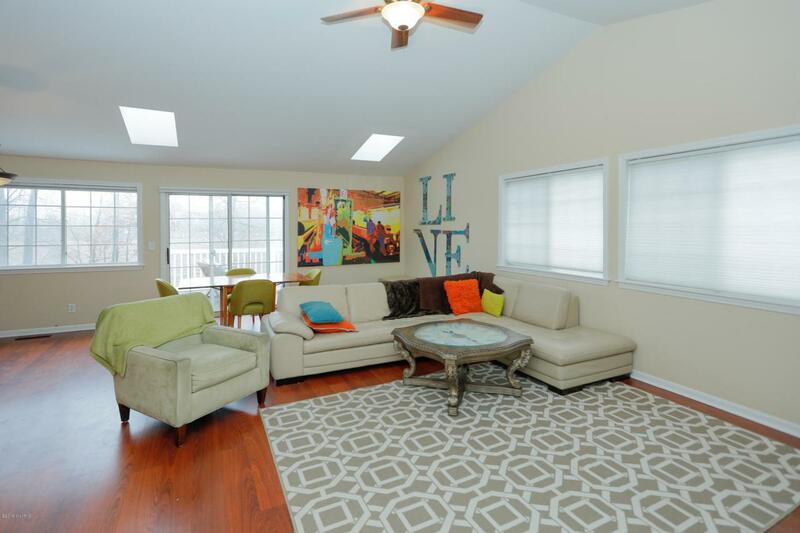 Beautiful cherry hardwood laminate flooring nicely accentuates the open layout living area that blends seamlessly into a kitchen featuring granite countertops, stainless steel appliances, and ample cabinet space. Handy wet bar in living room great for entertaining when friends or family stop by. 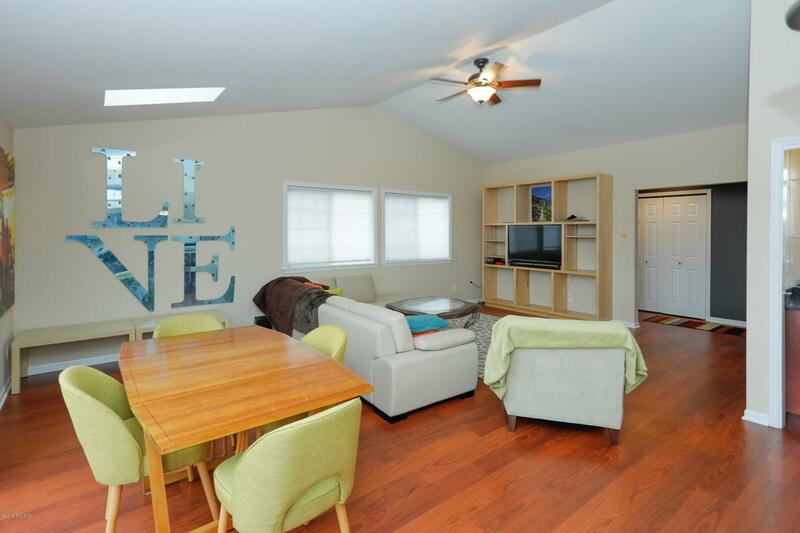 Enjoy peaceful views of nature off the back deck overlooking the woods and marsh. One car garage connected to the unit provides cover from the elements and additional storage. Listing provided courtesy of Geoff Brown of Berkshire Hathaway Homeservices Michigan Real Estate. © 2019 MichRIC, LLC. All rights reserved. Information deemed reliable but not guaranteed.